Dr O’Neal was denied at the polls in his four attempts by the first Premier of the Virgin Islands, Hon O’Neal who entered the political arena in 1975 and was successful in being elected as the representative of the then Seventh District, of Virgin Gorda. 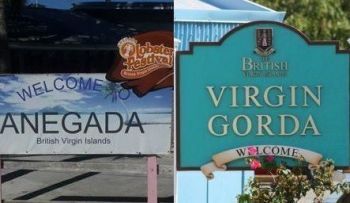 By 1979 there was a shuffling of districts and Virgin Gorda together with Anegada became the Ninth District. Once elected in 1975, Hon O’Neal never lost an election and was successful in the elections of 1979, 1983, 1986, 1990, 1995, 1999, 2003, 2007, and 2011. 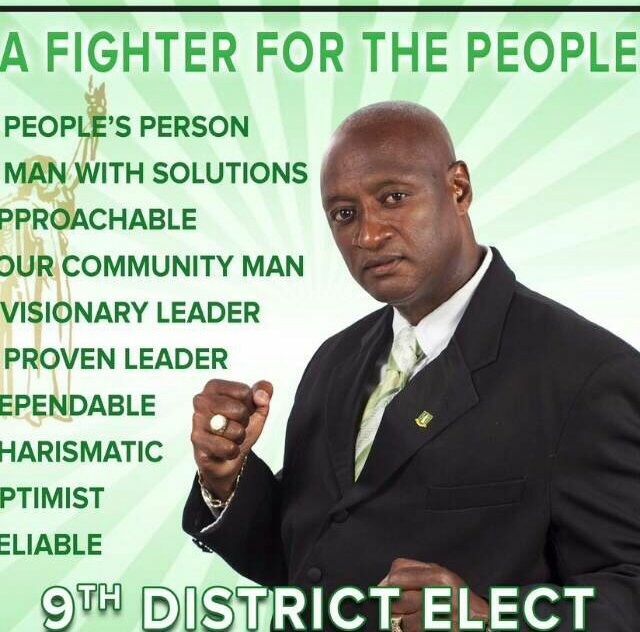 Leader of the Opposition, Hon O’Neal has since endorsed the VIP’s Ninth District candidate Elton L. Sprauve aka All Out. With the all-time, never before seen rush for the seat of Ninth District representative candidates under the National Democratic Party Hubert O’Neal seems to have a strong eye on the Virgin Islands Party Candidate for that district Mr Elton Sprauve aka ‘All Out’. Speaking at an NDP rally at the Road Town Market Square on May 6, 2015, Dr O'Neal said now that Hon O’Neal is out of the way he is going “all out” to ensure he wins the Ninth District. Other persons vying for the Ninth District seat are the People’s Empowerment Party’s Faye J. Reese-Charles and Independent candidates Dr Rawle R. Hannibal, Mr Albert O. Wheatley and Mrs Stephanie I. Faulkner-Williams. Dr O’Neal described himself as not being an “ordinary man”. “A lot of you will say, but what kind of man is this? What is he made of? After you get knocked down four times; would you get back up? I know many a man would give it up after the second time. That’s reasonable to think of an ordinary man, but this man before you here tonight is not an ordinary man,” Dr O’Neal said. Dr O'Neal ran unsuccessfully for the Ninth District seat in 1999, 2003, 2007 and 2011. Meanwhile, the territory is positioning themselves to hear Mr Sprauve make his first face-to-face presentation, laying out his strategies and plans that would take the Ninth District and, by large, the territory forward. That session takes place tonight, May 11, 2015 on the sister island of Virgin Gorda and is expected to see a mammoth turnout of possible voters, supporters, and those who are keen to hear what are Mr Sprauve’s plans and strategies. Sprauve’s public meeting is scheduled to take place at 7:30pm at the lot adjacent to the Catholic Community Centre. A special ferry has been organised for persons wishing to attend the event from Tortola. The ferry will depart the Road Town Jetty at 6:30pm and return immediately after the event. It is time for you to retire and take Dr. Smith with you. Your own party sent Albert to replace you but ironically you don't even see it. My name is ralf and i approve this message. As long as he with the ndp he cant make it!! Dr. O' Neal sound like he is entitle to be the 9 district representative, the fact that you got rejected four times by the people of the V.G means that they do not need you. May be if your a VIP member you would have been the front runner. Your father was good to Virgin Gorda. He died carrying out his duties. But his position was not left in a will for you. Your brother tried it twice and gave it up. It is not a dynasty. You are not your father. We loved him; you are not him. You are another person. Save yourself the pain and give it up. And, I approve this msg. Time for what? What are you offering the people of VG? When was the last time you were even here? What is that makes you different this time? One ONEAL out and another in. Is this what he is saying? He is just like that man U. Scatliffe, don't know when to quit. I am glad that Tilford has finally cleared the air. Dr. Oneal please go and get a new pair of glasses to enable you to see the writing on the wall. Only time will tell sir. Good luck to you. You are the longest, most experience candidate in this VG race. I hope you have learned a lot from not only RT but your colleagues in the NDP.... Good luck and God speed. He mean his time to pack he bags and call it in!!! Is time to do what man? go sit down you dead self!! MEDIA HOUSES, PLEASE GET TOGETHER TO ORGANIZE AND SPONSOR A POLITICAL DEBATE WITH SOME OF THIS ELECTION MONEY. MOVE THE GOLD POST AND ENHANCE THE POLITICAL MATURITY. ANYONE WHO DECLINES TO PARTICIPATE, LET THE PUBLIC KNOW. Go to Bucks Food Market you will find some fresh "time" in the veggie section. That the only "time" you will be getting. Man ayo stop complaining and give Hubert a chance, he might surprise you all......Hubert are you reading and hearing the cries of the people, you had ample time to address that before election came back, I heard that last time about you, and you sure did not fix the problem. The cries are right back and its the same cry. You have to enteract with the people not for what you want but at all times. I believe that you will do good, but you have to prove yourself Hubert. Even if you loose today still be there tomorrow aight. His own brother, Romie, now deceased about 4 years, told him to give it a rest years ago; or switch party if you really want to improve his chances. Here's how Albert Einstein described the word, INSANITY: "doing the same thing over and over again and expecting different results.". How can an Absentee MIA for years, all of a sudden show up in the community and try to topple the always-around, in-the-community guy?. He has got to be crazy and Insane, like Einstein explained. His father, Robinson O'Neal, better known as Robbie, was a great man and was the Representative of the 9th District during the early 1970s and H L Stoutt was Chief Minister. A story about Robbie goes like this: he owned a barge named the "Caridad". On day he decided that the government's Backhoe, (the only one owned at the time), and had to be sheared between all of the districts was needed on Virgin Gorda. Since he owned his own transportation, (his barge), he called up Mr. Stoutt to advised him that the backhoe was needed right away. Stout told him that he would have to wait since the backhoe was on JVD. Robbie then told him that he better have it at the dock in Road Town by the time his barge gets there. Stoutt did exactly as he was asked. The rest is history. Now that's was representation. Bertie squandered a golden opportunity...and it is said that: Somethings just don't com back. One of those is Opportunity. Sorry Bertie. Perhaps you'd want to become an Activist instead. Much can be done outside of government.